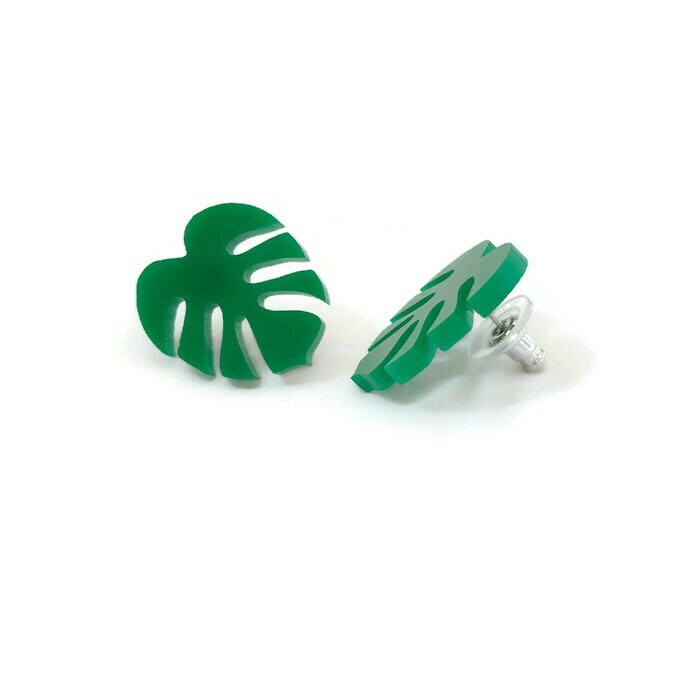 Tropical green monstera leaf stud earrings. 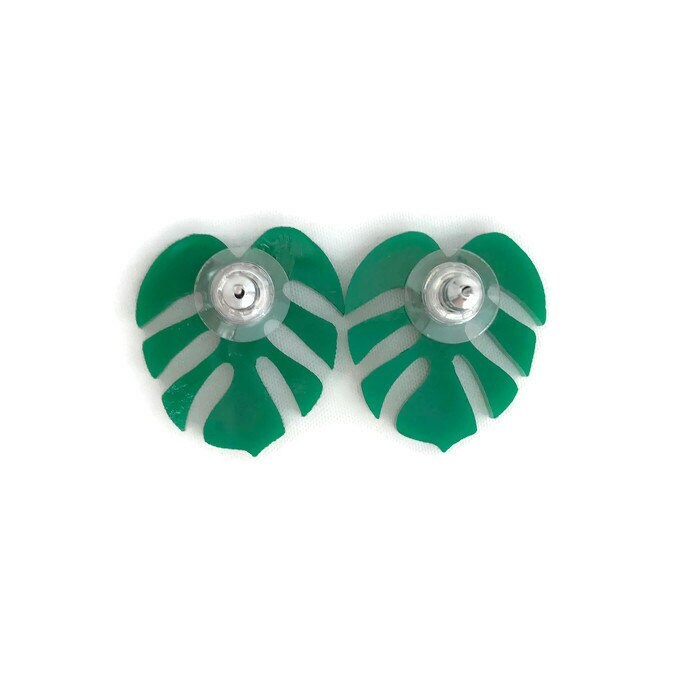 Made of laser cut green acrylic, these earrings are lightweight and comfortable. 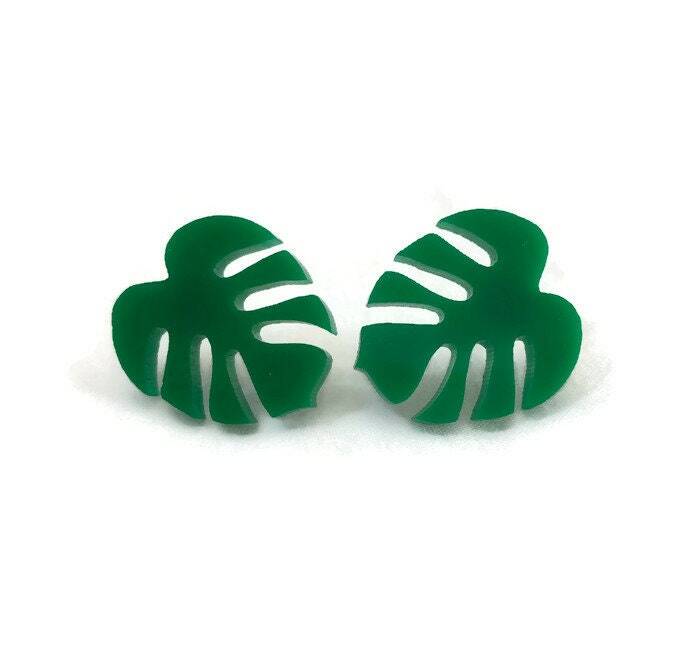 Monstera leaves measure 1" wide x .77" tall (approx. 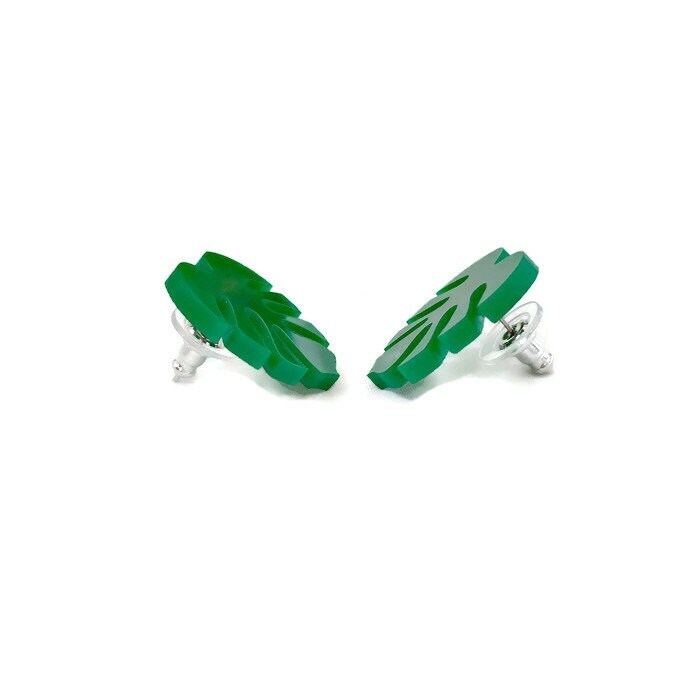 25mm x20mm) and are attached to nickel free earring posts for sensitive ears.